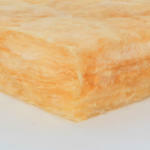 Non-combustible – Isover glass mineral wool insulation has an A1 Euroclass fire rating – the best attainable. Recycled content – Manufactured from up to 86% recycled glass. Protected planet – Zero Ozone Depletion Potential (ODP) and Global Warming Potential of less than 5.